Hannah Grau is in New York City. Cameron Scott, too. Jenny Marshall is spending her third summer researching a cure for cancer at the National Cancer Institute in Maryland. Meanwhile, Jenny Marshall is in Maryland, her home. She’s spending her third summer with the National Cancer Institute working to beat the disease that took someone she loved. 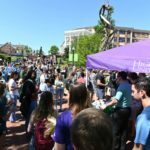 These HPU students are getting ready for the world of work, thanks to their life lessons beyond the classroom. 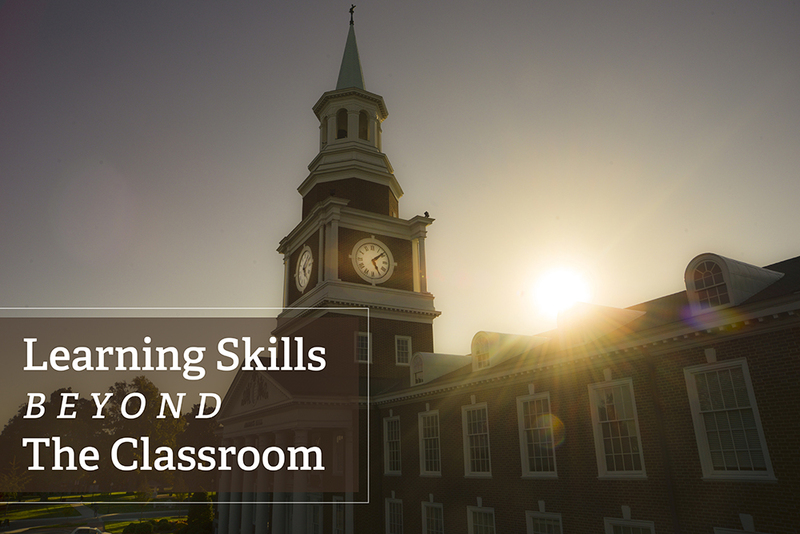 HPU’s learning model combines executive preparation with academic education and shows how a liberal arts degree and campus wide opportunities can empower students with the tools they need to excel. Students find these tools in so many ways through shadowing careers, internships, volunteering, studying abroad, hearing and talking to speakers and diving into the many opportunities available on campus. It all helps them understand that higher learning can lead to higher living. A recent study by the Association of American Colleges & Universities found employers believe the capacity to think critically, communicate clearly and solve complex problems is more important than a job candidate’s undergraduate degree. 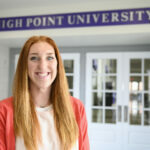 These five HPU students as well as their classmates have discovered that firsthand. They see why college is more than simply going to class. Fundora spent his freshman year like many of his peers. He listened to HPU President Dr. Nido Qubein. Every year during his weekly President’s Seminars, Qubein offers freshmen and seniors tangible ways to find purpose in their lives. Fundora came to HPU to learn from Qubein. But he soon found others to heed. He saw almost every speaker who came to campus this past year. His favorite: leadership speaker Marilyn Sherman. 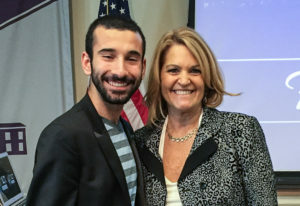 She’s known as the “Front Row Girl,” a nod to her book, “How To Get A Front-Row Seat In Life.” Fundora met Sherman in Cottrell Hall, and after her presentation, he and another student had the chance to talk, ask her questions and find out more. 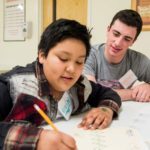 HPU brings in dozens of speakers every year to give students like Fundora a chance to meet a mentor up-close. 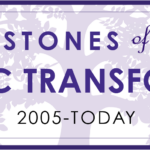 Speakers include Steve Wozniak, Co-Founder of Apple Inc. and HPU’s Innovator in Residence, Biz Stone, the co-founder of Twitter; Marc Randolph, the co-founder of Netflix and HPU’s Entrepreneur in Residence; Condoleezza Rice, former U.S. secretary of state and more. Zukowski, a senior business major, woke up because of his DanceBand. Or really his first elevator pitch. It was back when he was a sophomore, a member of HPU’s Entrepreneurship Club. He pitched an idea about high school students buying tickets for a dance and getting a wristband to exchange with one another. 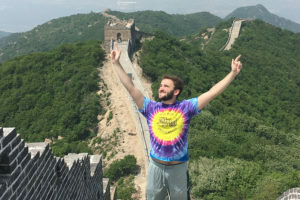 Zach Zukowski hiked the Great Wall of China during his semester abroad in Hong Kong. The girls would have red; the boys, blue. The bands would say “I Wanna Dance,” and they’d be like friendship bracelets, exchanged on a flirtatious whim. While preparing for and after presenting his 2-minute pitch, Zukowski says learning beyond the classroom became real for him. From there, his curiosity took off. Earlier this year, he went overseas by himself and spent five months in Hong Kong. He networked, learned Cantonese and Mandarin, improved his communication skills and gained a broader perspective on international business. Through HPU’s study abroad program, he studied at Lingnan University. This summer, he’s interning with Greenway Solutions, a consulting firm in his hometown of Charlotte, North Carolina, researching fraud controls at banks. He interviewed for the opportunity from his dorm room in Hong Kong following a day trip to South China. 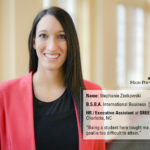 “This experience abroad has helped me discover my true interests and the potential I have to make the world better for everyone,” Zukowski says. Marshall, a senior chemistry major, has the same kind of intellectual curiosity – except closer to home. 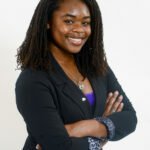 She interns at the National Cancer Institute near her home in Ijamsville, Maryland, because she wants to find a cure. It’s personal. Her maternal grandfather died from lymphoma. 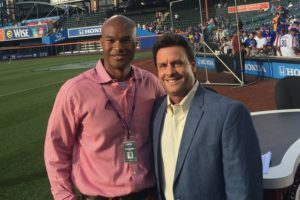 Cameron Scott met ESPN Baseball Tonight’s Karl Ravech during his internship with the NY Mets. In New York City, Scott blossoms. It’s his hometown. Scott, a journalism and communication senior, played baseball for HPU until an injury sidelined his career, not his passion. This summer, he’s working as a player relations intern for the New York Mets. He’s had to buy new clothes and borrow some of his dad’s ties. But the subtle life lessons he learned at HPU have come in handy. The need to express yourself well, dress well, write well and always be on time. 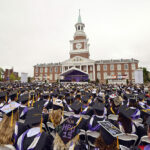 He learned that from his professors Larry Quinn, Bobby Hayes and advisors in HPU’s Office of Career and Professional Development. 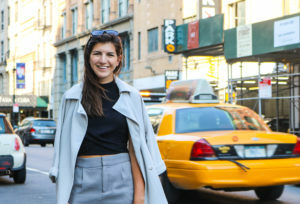 Hannah Grau interned at an interior design firm in NYC this summer. Grau, an interior design senior from Louisville, Kentucky, gets that. She’s interning at Ageloff & Associates, an interior design firm in New York, and working closely with Scott Ageloff, the mentor of Dr. John Turpin, the dean of HPU’s School of Art and Design. Like Scott, she learned from HPU the importance of the little things. But she also learned something she found no class could teach.